Ignite your passion for adventure, action, and travel! 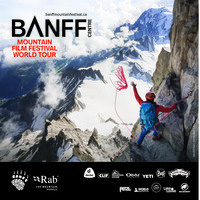 Banff Centre Mountain Film Festival World Tour will exhilarate you with amazing big-screen stories when it comes to the Mcdonald Theater (hosted by the UO Outdoor Program) at 6pm on April 24th and 25th (Wed/Thurs evenings). Journey to exotic locations, paddle the wildest waters, and climb the highest peaks. Get your tickets starting April 1st and be taken away to the most captivating places on earth.